Much of the buried treasure in New Hampshire is pirate booty, and Revolutionary War treasures. If you would like to search for them, there are two important points you need to understand before attempting to locate these lost treasures. First, you need to do more research. 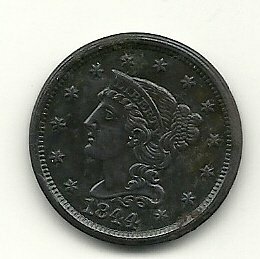 I have included in this article some stories relating to buried treasure in New Hampshire, however, it’s a good idea if you can research them further. The more information you have about any treasure legend, the better your chances of locating them. Using the Internet is a good start. Also, if you can visit the historical societies of the area you want to search in, you may be able to find more information. Second, you should have a metal detector. If you do not own a detector, but are thinking of purchasing one, do not spend more that $450. A good price range of between $350-$450 is all you need. The more expensive detectors are for the more advanced hobbyists. They have more bells and whistles on them, and are very confusing to the newcomer. I use a metal detector in this price range, and I have been treasure hunting for thirty-five years. 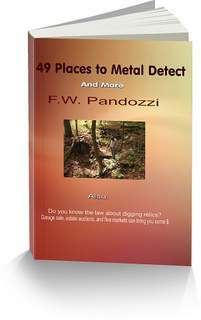 If you purchase a metal detector, be sure to read and understand the owners manual. Learn how to use your detector properly, and you will find coins, jewelry, relics, and who knows, maybe a buried treasure. It does happen. Here are five places to begin your search for buried treasure in New Hampshire. The Seabrook beaches, located approximately fourteen miles south of Portsmouth has been known to contain English and Spanish coins from the 1700’s. The coins were most likely washed up onto the beach from ship wrecks. The John Cromwell treasure, is a story regarding an Indian trader by that name who supposedly buried a large treasure on his trading post. The post was located somewhere on the west side of the Merrimack River, near Merrimack, approximately two miles north of Cromwell Falls. The John Wentworth treasure, is a treasure of gold and silver coins that was buried by then Governor Wentworth in 1775. Wentworth was hiding out during the Revolutionary War when he buried a large strongbox of the coins, and six chests of gold and silver plating. The treasure is reported to be buried between Portsmouth and Smithtown, somewhere in a wooded area. The Isle of Shoals treasure, is a group of seven Islands that may hold treasures buried by the Spanish in 1813. The Islands are located approximately ten miles southeast of Portsmouth. John Quelch, the pirate, supposedly buried nine pounds of gold and 190 pounds of silver on the west side of Appledore Island. Good luck! And have fun in your search for buried treasure in New Hampshire. Buried treasure in New Hampshire may be located in ghost towns.